A homeowner, builder and designer put their creative minds together to renovate a historic Nantucket bungalow, bearing in mind the rich history of the home while making it fit for modern living. Julie Forgaard’s newly renovated Siasconset bungalow stands unassumingly among a garden of hydrangeas, beckoning to passersby, inviting them to step into a world of history flawlessly mixed with modernity. The cobblestoned streets of Nantucket are a mark of the timeless charm this area has to offer, be they warmed by summer sun or dusted with winter snow. While many escape to the island year round for its unusual serenity, quiet streets and stoically towering churches, Forgaard and her family find the area to be a bustling change from their small hometown in New Hampshire. “For us, coming to Nantucket is like going to the big city,” Forgaard says. “The winter population is double the size of our rural town in New Hampshire. There are stores, restaurants, galleries, theaters, all sorts of things we can’t get up north, and there’s so much traffic,” she adds, laughing. Forgaard is a self-proclaimed beach girl, and that is one of the many reasons she chose to buy a home on Nantucket. “Here, you can go to a different beach every day,” she says. 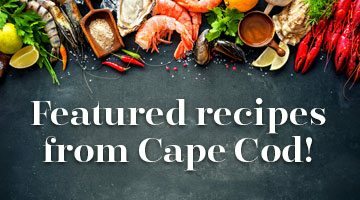 Her family’s carefully crafted new space in the village of ‘Sconset will allow them to enjoy the island not only more often but also more fully, because there is no better way to learn about the complicated, nautical history of the Cape and Islands than through the fervent love and care of an historic cottage.